RUNcation And RUNspiration – at Gold Coast Airport Marathon 2016 | JustRunLah! Looking for a holiday where you can have fun and at the same time achieve running goals? 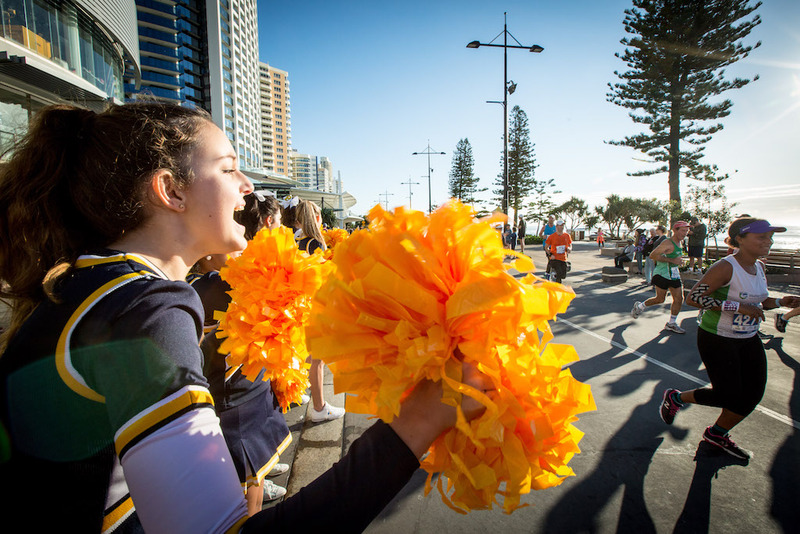 Well, look no further – the Gold Coast Airport Marathon is held on 2-3 July 2016 and it comes packed with an excellent running course and heaps of attractions and activities that you can indulge in post run. 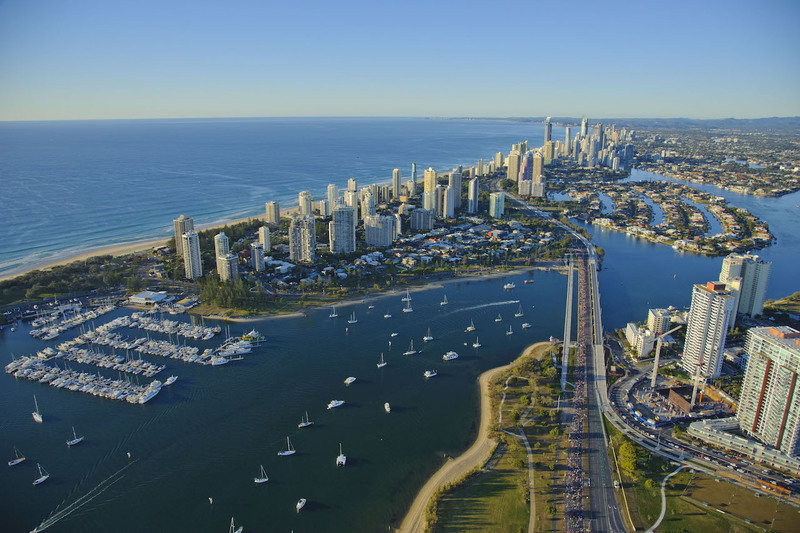 Just an 8 hours flight away, theme parks, world-renowned beaches and year-round sunshine are a few of the reasons that make Gold Coast a great trip for the family or you and your buddies. The Gold Coast is renowned for its unique and beautiful beaches, stretching from the southern end at Rainbow Bay to South Stradbroke Island in the north. From the iconic Surfers Paradise beach to the dining precincts of Main Beach and Broadbeach and out to the lush, green hinterland, there is always something new for you to discover. For daddies and mummies who are looking to combine the race with your family holiday, be sure to check out Gold Coast’s iconic theme parks (Sea World, Dream World and Warner Bros. Movie World) that will keep your children in awe. Check out full or half day tours up to Mt Tamborine to enjoy its crisp fresh air in this quaint little town. For racers who are on the coast with your mates, and are looking for more adrenalin pumping activities to do – we challenge you to scale the tallest residential building in the world at SkyPoint Climb. Or leap off a plane at 14,000 feet at Kirra Beach to tick off 1 bucket list item. If you just want to R&R, we recommend that you hop on the G:Link tram and café hop between Surfers Paradise and Broadbeach where you will find some of the coast’s best restaurants and café. Known as Runspiration by familiar runners at the event, Gold Coast Airport Marathon has also earned its popularity via the strong community of race supporters. Immerse in electrifying atmosphere of positive energy at every turn and corner. What can we say, the Queenslanders always know how to have a good time. Weather conditions in July on the Gold Coast are traditionally great for running. There is low humidity, little or no wind in the morning and mild temperatures. 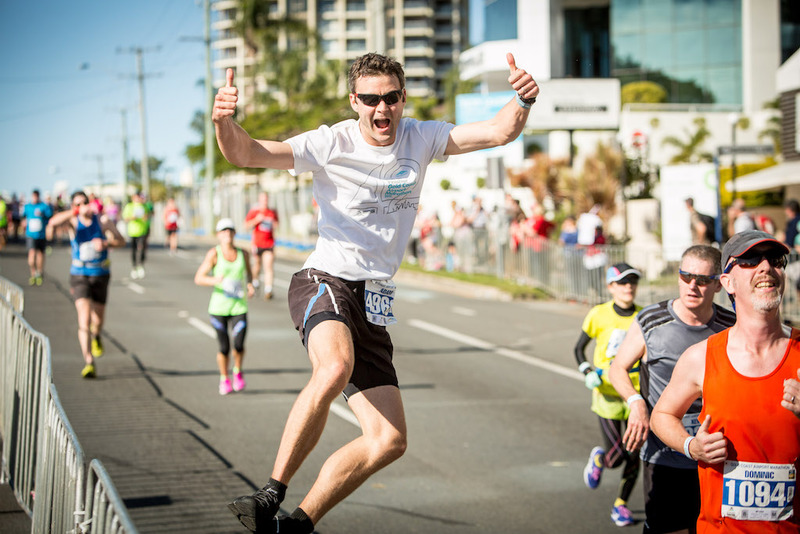 It is no wonder runners get inspired and are known to achieve their PB at Gold Coast Airport Marathon!